Congratulations to 1st Bloxham Company on celebrating their 10th anniversary this year. With over 30 boys led by a team of 13 leaders and helpers the group continues to offer a range of challenging and rewarding activities on a weekly basis in Bloxham for boys aged 7 to 18. 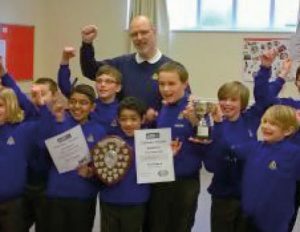 Well done to members of the Junior section who were recently successful in winning both the Oxfordshire Battalion Figure Marching and Quiz competitions.